Springtime at Surprise Valley Hot Spring, by Joe LaFleur. 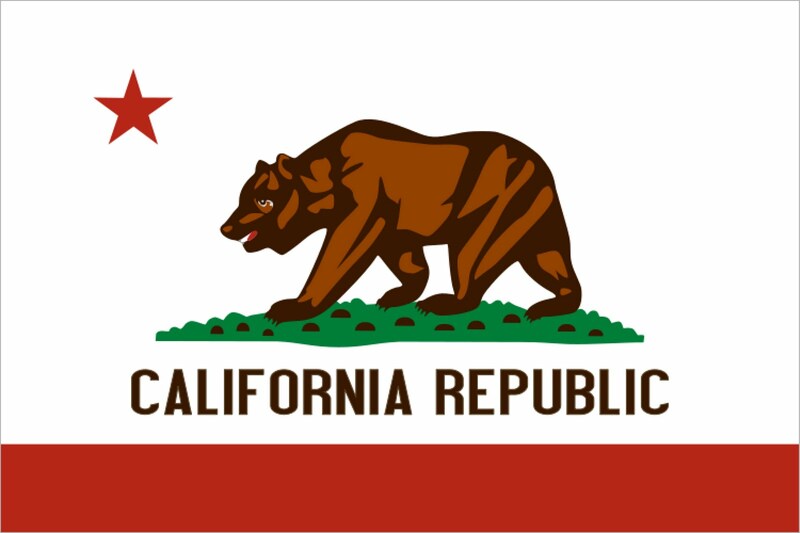 The State of California is encouraging development of electrical generation capacity that could be employed at the community scale (also known as distributed generation). Assessing the magnitude and characteristics of geothermal resources that could be used for such applications is a challenge for many smaller communities since they often lack the technical resource base to conduct such work. California utilities are on track to meet the state's goal of using renewable resources for at least one third of our power by the end of this decade. Now legislators and regulators are focused on determining the right mix of energy resources to ensure reliability and achieve the maximum reductions in greenhouse gas emissions by 2020 and beyond. At issue is how best to diversify, harness and manage the energy we use. The time to influence how this future takes place is now. The policies put in place today will affect our state's ability to provide clean, reliable and affordable energy for California homes and businesses for generations to come. Tell the legislature you support AB 2363 in support of geothermal energy. Published today on its Procurement website, the World Bank has provided today details about its “Invitation for Prequalification” for the drilling of four full size production wells in Djibouti, East Africa. Prequalification of contractors is required for the drilling program to be performed by a drilling services company. The Board of Hot Rock Limited, based in Brisbane Queensland, Australia, has provided the following update on progress made during the March Quarter of 2014. Ormat Industries said its U.S. subsidiary is examining the possibility of raising money by bringing in equity partners for a small number of assets in the United States. This would be done by selling up to 49 percent of the relevant power stations while Ormat would retain control and continue to operate them, the company said in a statement on Wednesday. Ormat said a number of potential investors are examining the assets but that it is still in an early stage and no binding offers have been received. "The company cannot estimate the amount of money to be raised, the timing or the likelihood that a deal will be completed," Ormat said. The Globes financial news website said Ormat could make $150 million-$250 million from the sale of part of its power stations business. Ormat controls its U.S. power stations through its subsidiary Ormat Technologies. Philippine Geothermal Production Company, Inc. (PGPCI) and BDO Foundation (BDOF) have teamed up to help rebuild schools in super typhoon-devastated areas. PGPCI donated P2 million to BDOF to co-fund the reconstruction of a four-classroom elementary school building in Barangay Bay-bay, Catarman, Northern Samar, one of the hardest hit areas by the super typhoon and classified by the Mines and Geosciences Bureau (MGB) as one of the hazard-prone areas in the Northern Samar capital. PGPC‘s P2 million donation to the BDOF is part of the donations received from its employees in its Makati head office, as well as in MakBan and Tiwi who opted to forego their respective Christmas parties. Donations were also made to the Philippine Red Cross and SM Foundation amounting to P500,000 each. Boxes and drop off points were also designated in the company’s three locations for cash and kind donations from employees, generating more than P300,000. Djibouti, a country with a population of less than 1 million people, hopes to achieve energy independence using geothermal power that will enable its citizens to enjoy abundant, cheap and accessible energy across the entire national territory. Energy Minister Ali Yacoub Mahamoud recently noted that the government, in conformity to the vision of President Ismail Omar Guelleh, will make Djibouti the first African country to use 100 percent green energy by the year 2020. "To achieve this, we have put in place a clear process and defined the priorities. Today, the priority for our program to develop green energy is geothermal," the minister told Xinhua. He said given Djibouti's geothermal potential which is estimated to be 1,000 MW, the country had decided to accelerate the development of the sector together with its partners and the private sector. MidAmerican Energy Holdings Company has announced that it has changed its name to Berkshire Hathaway Energy, effective immediately. A news release says this new name more accurately reflects the company's growing, diversified mix of businesses and the customers they serve. At the same time, it reinforces the company's strategy to own and operate a portfolio of high-quality assets, grow and diversify through a disciplined acquisition strategy, and build and maintain strong stakeholder relationships. The businesses of Berkshire Hathaway Energy will continue to be managed locally, and the names and operations of our businesses will not be affected. 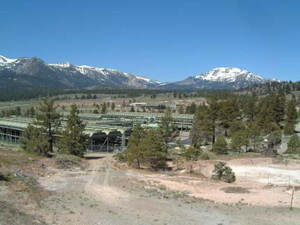 MidAmerican Geothermal, a subsidiary of Berkshire Hathaway Energy subsidiary MidAmerican Renewables, is a Calipatria, California-based geothermal power producer. The company has a 50 percent interest in 10 geothermal facilities in California’s Imperial Valley that have the capacity to produce up to 327 megawatts. The California Senate Energy, Utilities and Communications Committee approved SB 1139 today, authored by Senator Ben Hueso (D-San Diego) together with principal co-author Assemblymember Manuel Pérez (D-Coachella). The bill requires energy retail sellers and local publicly owned electric utilities to procure 500 megawatts of electricity from baseload geothermal power plants by 2024. SB 1139 was approved on a vote of 6-2 and now heads to Senate Appropriations Committee. Last Friday Global Geothermal News reported on U.S. company General Electric Co. reportedly in talks to buy Alstom SA, the French builder of trains and power plants. Now German giant Siemens has confirmed it will make an offer to buy French manufacturer Alstom. The company said in a statement that the prerequisite is that Alstom agrees to give it “access to the company’s data room and permission to interview the management during a period of four weeks, to enable Siemens to carry out a suitable due diligence”. Siemens added that a letter outlining this had been submitted to Alstom and there would be no further comments “at this time”. El Tatio is the largest geyser field in the southern hemisphere, home to over 80 active geysers that erupt with water vapor in a mesmerizing display of natural performance. Photographer Owen Perry captured the hydrogeological paradise nestled in the Andes Mountains of Chile and its sprawling land art. While many believe that Indonesian energy policy is on the right path with the development of geothermal alternatives, Deputy Finance Minister Bambang Brodjonegoro says there are risks. The decision to introduce a feed-in-tariff policy for geothermal energy would put an extra burden on the country’s electricity subsidy costs, according to Bambang. Bambang refered to a pricing scheme in which the state electricity firm, Perusahaan Listrik Negara (PLN), will pay a set price for electricity produced from geothermal power plants owned and operated by independent power producers. Depending on the location, the tariff ranges from 10 cents to 18.5 cents per kilowatt hour (KwH), with the Energy and Mineral Resources Ministry planning to raise it further to 11.5 cents to 29 cents per KwH. Bambang instead proposes to replace the feed-in-tariff with a scheme that acknowledges a price ceiling. “And then the government must also introduce an open, international tender instead of direct appointment, so that we can get the best deal,” he added. Bambang said that most of Indonesia’s sources of geothermal energy are located in Java and Sumatra, where electricity is being generated by cheap coal. “This situation will put PLN in a difficult position to agree to terms in geothermal energy,” he added. by Ethan Goffman, Associate Editor of Sustainability: Science, Practice, & Policy. Geothermal energy has long been called “the forgotten renewable,” as I explained three years ago in an article in E: The Environmental Magazine, then promptly forgot about it. Okay, I did not actually forget, but was concerned with other issues, such as the rise of fracking, which has led in the intervening years to a huge natural gas boom that has rapidly brought the United States closer to energy independence. 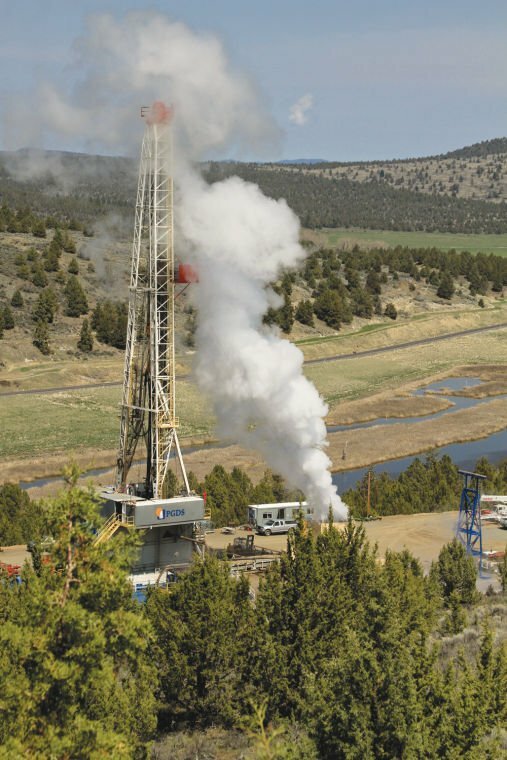 Fracking shares many qualities with geothermal energy; both require lots of cash in an early, risky exploration phase; both rely on drilling beneath the Earth’s surface; and both provide reliable baseline power that can be counted on 24 hours a day, which works synergistically with such intermittent energy sources as wind and solar power. Yet, natural gas has also been charged with polluting groundwater, causing earthquakes (through the storage of fracking water), and releasing the powerful greenhouse-gas methane (the amount varies greatly depending on the study—we really do not know). So why have we gone with environmentally problematic natural gas rather than far safer geothermal, which has been operating for over a hundred years (the first plant was built in Italy in 1913) with close to zero pollution and greenhouse emissions? Ram Power, Corp. announced today that the company has commenced the 30-day stabilization period of the resource field for the San Jacinto-Tizate project. Following the conclusion of the 30-day stabilization period expected on May 18th, Ram Power will conduct a 7-day performance test to determine the net operating output of the project which is expected to conclude on May 25th. Upon completion of the plant capacity test, the company is eligible for distributions if it is able to meet certain debt service coverage ratios and other operational requirements. When most of us think of geothermal energy, we think of the small-scale heat pump systems used to heat a building or a few homes. But large-scale geothermal projects tap heat much deeper in the Earth's crust to produce electricity, a technique that works well in places such as Iceland and the Philippines. Alberta's geology is not like Iceland's and geothermal energy resources here are, at best, marginal. But the province has a long history of taking marginal resources and making them world leaders. Could geothermal electricity be Alberta's next ace card? There are three reasons why developing large-scale geothermal technology could be a fantastic opportunity for the province. Hadiri Seminar & Workshop - "Geothermal Development Prospect"
Reykjavik Energy renegotiates turbine contract with Japanese turbine producer, essentially freeing itself from the obligation for a one-time payment. In the spring of 2008, Icelandic utility Reykjavik Energy bought five turbines for planned geothermal power plants. At the time, the company had not decided where the turbines would be used. Two of the turbines are now in Iceland and were used for the Hellisheidi geothermal power plant near Reykjavik. Three of the turbines ordered in 2008 are still in Japan and their value estimated at around $134 million. Since then Reykjavik Energy has been trying to find an agreement with the Japanese turbine producer, assumed to be Mitsubishi Heavy Industries. Late last year, the companies managed to come to an agreement that includes a delay in delivery of two turbines and the cancellation of delivery of the third remaining turbine with a payment by Reykjavik Energy of around $27 million. Two Indonesian state owned companies, PT Pertamina Geothermal Energy (PHE) as Pertamina's subsidiary and PT PLN signed a head of agreement (HoA) on new basic price of geothermal and electric power in some central locations of geothermal power plants. 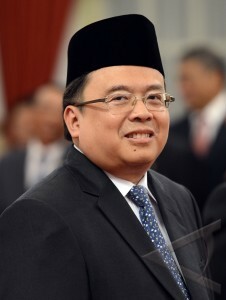 President Director of PT PLN, Nur Pamudji, said that geothermal price in Hululais and Sungai Penuh was 7 cents per kWh. Both companies agreed that the downstream price of electricity within range 8.4 cents to 11.6 cents per kWh. Tenerife's geothermal potential is a challenge for the island’s sustainability. Dr Nemesio Perez, Director, Environmental Research Division, ITER (Tenerife Renewable Energy Institute) and Coordinator of INVOLCAN (Canary Island Volcano Institute) will discuss this at the conference organised by GeoTenerife taking place at the RAC Club, Pall Mall, London on Friday May 2 2014. Spain’s first fully functional geothermal power station is to be built in Tenerife. A seemingly benign Consent Agenda item inspired passionate remarks at the April 16 Mammoth Lakes Town Council meeting. The item in question: approval of a letter in support of the Mammoth Community Water District’s (MCWD) concerns regarding the potential impact of the proposed Casa Diablo IV Geothermal project to the Town groundwater supply. Last September, MCWD presented its case against the proposed Ormat, NV Casa Diablo IV Geothermal Development project. The project would include the construction of a new 40 MWe geothermal power plant, up to 16 new production and injection wells, multiple pipelines, and an electric transmission line. Particularly troubling to MCWD is that water use at the proposed plant would increase from the current 19,000 acre-feet to about 29,000 acre feet per year. This water would be extracted from production wells located in the Basalt Canyon area, many in close proximity to MCWD groundwater supply wells. The Department of Energy deadline to submit the full application for an Integrated Enhanced Geothermal System (EGS) Research and Development Funding Opportunity Announcement (FOA) is April 30 at 5pm. That means awards up to $10 million, likely split among three winners, can be announced by the Fall. I'm interested to see the development of enhanced geothermal systems (EGS), a technology similar to fracking in that it requires injecting water into rock. My true concerns regarding geothermal power come from this similarity between geothermal and fracking. Therefore I'd like to see more studies into how the use of geothermal power may or may not result in an increased number of earthquakes or even upgrade the risk for contamination of the water supply. If these issues can be dealt with concretely or proven to be overblown, geothermal heat could have a place among the country's future energy mix. A team of researchers at the Idaho National Lab is working on Enhanced Geothermal Systems. EGS taps into the heat flowing in the Earth's crust and transforms it into a source of electricity. Unlike wind of solar, EGS is more environmentally friendly. A group of scientists who were researching hydraulic fracking in the Bakken formation in northern Montana are taking the tools they developed on that project and applying the physics of fracturing to EGS research. The work is being done in Cassia county along the Snake River Plain. "The potential for electricity generation, there's enough potential to make enough energy for the whole state and for the whole region," said Rob Podgorney, chief scientist in the Environmental and Natural Resource Management Division and GRC Member. The Philippines Department of Trade and Industry Board of Investments (BOI) has approved the P4.64 billion investment of Energy Development Corp. (EDC) for the construction of a 49.4 MW Nasulo geothermal power plant. The geothermal power plant, which is eligible for incentives and is listed under the Investment Priorities Plan, is located in Sitio Nasulo, Barangay Pugahan, Valencia, Negros Oriental. The project will start commercial operation in January 2016. EDC is 76 percent Filipino-owned and 24 percent foreign. Oregon Institute of Technology is now producing its own power for the campus. The university has added a geothermal plant to its current solar panel field. Oregon Tech's President, Chris Maples, said between the new geothermal plant and existing solar panels, the university will have power for the entire campus. U.S. company General Electric Co. is in talks to buy Alstom SA, the French builder of trains and power plants, people with knowledge of the matter said, in what would be GE’s biggest acquisition ever. An agreement may be announced as early as next week, said the people, who asked not to be identified because the talks are private. The U.S. company may pay more than $13 billion for Alstom, one of the people said. That would be about 25 percent more than its current market value. Alstom surged as much as 18 percent in Paris trading today, the biggest jump since 2004. Unlike any other region in the world, the accelerated geothermal development in East Africa has had a vast impact on skills and capacity building for the local population. The impact is immense and far-reaching and will ultimately benefit foreign investors by creating a competitive local economy and stable supply base. As part of the GeoPower Africa Week webinar series, we will be taking a critical look at the growth potential of this region, accelerating development and the project evolution of the market. Join the discussion on 15 May at 2pm GMT, where a panel of experts will look at the critical vectors for building capacity in this region. By joining live, you also have the opportunity to engage directly with the panelists via LIVE Q&A. The paper submission deadline is May 2, 2014. The Geothermal Resources Council (GRC) reminds authors of the deadline for submitting technical papers for the world’s largest annual geothermal conference taking place September 28-October 1, 2014, in Portland, Oregon at the Oregon Convention Center. Themed “Geothermal: A Global Solution” the 38th Annual Meeting will reflect the world-wide growth of geothermal energy. Anyone who wants to present at the GRC Annual Meeting must submit a paper. Authors may submit a poster and/or oral technical presentation. The paper submission deadline is May 2, 2014. The GRC Annual Meeting & GEA Expo is the industry’s largest annual gathering of leading geothermal energy scientists, producers, renewable energy industry stakeholders, regulators, utilities, and key associated business leaders. The four-day event will offer technical, policy, and market conference sessions, educational seminars, tours of local geothermal and renewable energy projects, and numerous networking opportunities. Registration to the GRC Annual Meeting also includes entry to the GEA Geothermal Energy Expo. Carbon dioxide injected into a geothermal reservoir would be stored permanently by turning into rock. Capturing carbon dioxide and storing it underground could help address climate change, but some experts worry that the gas will leak back out. Research described in the journal Science points to a more secure way of storing it—as rock. The scientists showed that when carbon dioxide is pumped along with water into certain types of underground formations, it reacts with the surrounding rock and forms minerals that could sequester the carbon dioxide for hundreds or thousands of years. 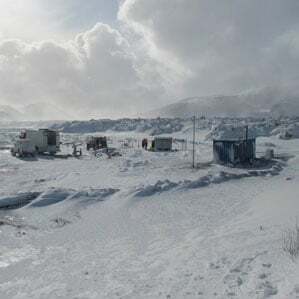 In the new work, researchers from University College London and the University of Iceland added carbon dioxide to a stream of water being pumped underground at a large geothermal power plant in Iceland, as part of normal plant operations. The carbon dioxide quickly dissolves in the water, and in that state it no longer has a tendency to rise to the surface. Once underground, the carbon dioxide-laden water reacts with basalt, a type of volcanic rock. The researchers showed that, within a year, 80 percent of it had reacted with magnesium, calcium, and iron to form carbonate minerals such as limestone. Indonesian state companies PT Pertamina and PT PLN will sign a geothermal Power Purchase Agreement (PPA) involving a number of geothermal power projects, a minister said on Thursday. Under the agreement power utility company PLN will buy at agreed prices power generated from 8 geothermal power plants to be built by oil and gas company Pertamina, Minister for State Enterprises Dahlan Iskan said. The two state companies have agreed to sign the PPA on Monday next week, Dahlan said. The 8 projects include PLTP Lumut Balai 1-2 with a capacity of 110 MW, PLTP Lumut Balai 3-4 with a capacity of 110 MW , 110-MW PLTP Hulu Lais and 55-MW PLTP Sungai Penuh in Sumatra, PLTP Lahendong with a capacity of 40 MW in Manado, 30-MW PLTP Kamojang and 50-MW PLTP Karaha in West Java and the PLTP Ulu Belu with a capacity of 110 MW. 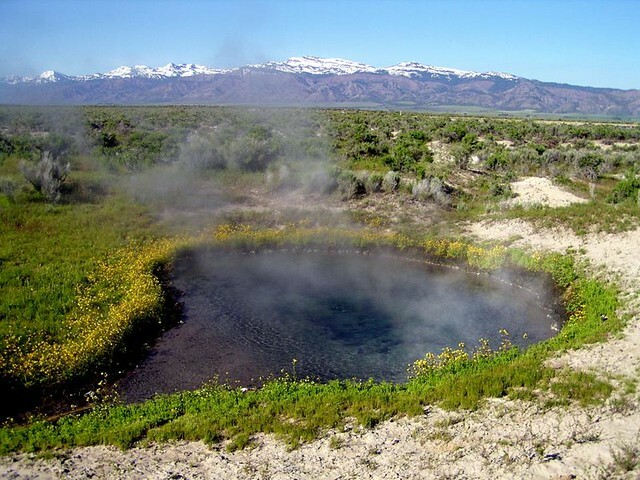 GRC Board Member Charlene Wardlow of Ormat, Reno, will give a talk on Ormat’s proposed Casa Diablo IV project north of Mammoth, California within the Long Valley Caldera. This is part a series of talks organized by the Mammoth Lakes Trails and Public Access Foundation. The development of Geothermal energy resources available in all provinces of Pakistan can provide cost -effective energy for the long-term and save billions of dollars spent on import of fossil fuels, a Pakistani energy expert said. Javed Ahmad, Chairman, Energy Foundation-Pakistan, told reporters after making a presentation on the subject at an international conference that foreign entrepreneurs have shown an interest in investing in the field. Javed Ahmad's recommendations at the conference included carrying out a Geothermal Energy Resources Base Load Study through International Donors and setting up three pilot power projects using Geothermal Energy in Punjab, Sindh and Gilgit Baltistan. 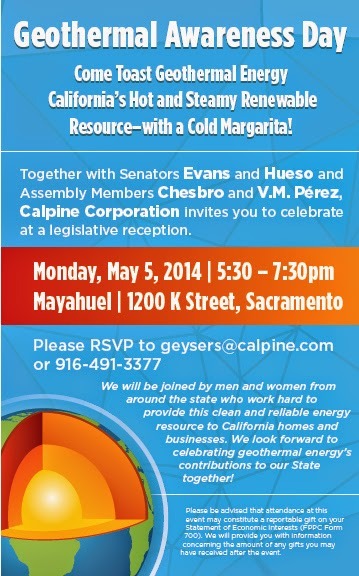 This measure would recognize the month of May 2014, as Geothermal Month and May 5, 2014, as Geothermal Day. The measure would urge the State Air Resources Board, the State Energy Resources Conservation and Development Commission, and the Public Utilities Commission to immediately take the necessary actions to ensure the continued viability of California’s existing renewable geothermal resources and promote the procurement of new geothermal generation. Resolved, That the Secretary of the Senate transmit copies of this resolution to the Governor, the members of the Public Utilities Commission, the State Energy Resources Conservation and Development Commission, the Independent System Operator, the State Air Resources Board, and to the author for appropriate distribution. The local government of Budapest’s district XVIII has announced the “GeoSEE European Conference,” a meeting of geothermal energy specialists from Hungary and throughout the South Eastern Europe region, to be held in Vecsés, just outside Budapest. next week. With funding from the European Union and under the auspices of the South East Europe Transnational Cooperation Program, the GeoSEE conference is themed “How to make geothermal resources more efficient?” Presenters will seek to present a picture of geothermal energy use in Europe present and future, along with possibilities for growth in the sector. Today, the U.S. Department of Energy recognized the Oregon Institute of Technology (OIT) for boosting its use of clean energy at the first campus in America to be heated by geothermal energy, achieving a major milestone toward its goal of making all seven schools in the Oregon University System carbon-neutral by 2020. Partially through Energy Department support, the Klamath Falls campus will utilize 1.75 MWe of newly installed geothermal capacity combined with a 2 MW solar array, making OIT the first university in North America to generate most—if not all—electrical power from renewable sources. "The Department's investments at the Oregon Institute of Technology are another example of how partnerships with academia, industry, and the private sector can help cut energy waste and pollution while reducing energy bills," said Energy Secretary Ernest Moniz. "OIT's use of cutting-edge technology and its commitment to a clean energy future help diversify our energy supply while also bringing us closer to the Administration's goal of doubling renewable energy for a second time by 2020." Bill Honjas, president and CEO of Klamath Basin Geopower, that is developing a network of commercial geothermal production wells, said a second well at its Olene-Poe Valley geothermal field has geothermal fluids well in excess of temperature and quantity necessary for producing electricity using established power plant technology. He said Klamath Basin Geopower will continue to develop the well field, while moving forward with plans to build and commission a minimum 20 MWe power facility on its well field by 2017. Geothermal energy could be called an “underground” renewable energy source not only because of its physical origin but also because its importance remains largely unknown to many decision makers and members of the public. Although historically high oil prices in the early 1980s stimulated a substantial expansion of geothermal capacity, there followed a period of very slow growth for almost 20 years. The past several years, however, have been a boom time for international geothermal energy development, with substantial interest and activity in the United States and many other countries. Tesla Motors should build its "gigafactory" next to the Salton Sea so it can have easy access to lithium extracted from recycled brine from geothermal plants. Doing so could be a quantum leap in the goal to create a revenue stream to restore California's largest lake. Building the factory next to a source of locally produced lithium makes sense. Land is plentiful and inexpensive, and there's plenty of room for solar panels and wind turbines to power the factory. And it's not far from train tracks that can carry batteries to the factories where cars are assembled. Tesla's goal is to produce 500,000 cars a year by 2020. 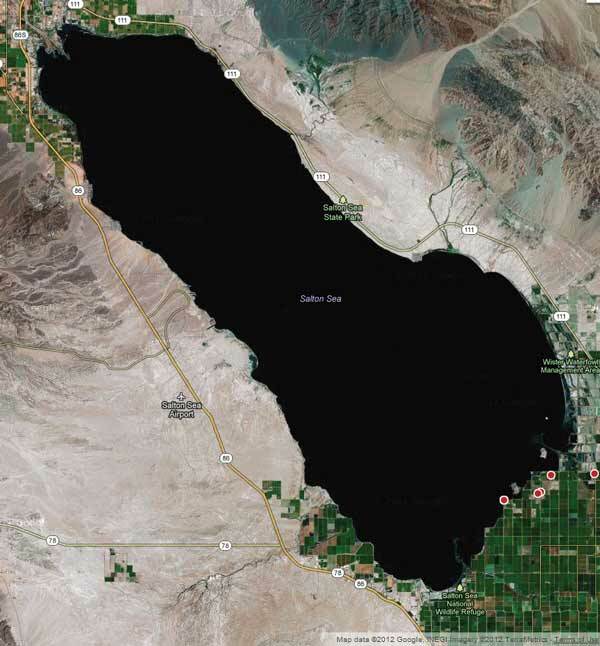 The Desert Sun believes a Salton Sea site would be a good fit for the Tesla factory. But more important, it would help solve the intractable challenges facing the sea and its neighbors, and contribute to the Coachella Valley's worldwide reputation as a leader in renewable energy. The Natural Energy Laboratory of Hawaii Authority (NELHA) is seeking a new lease for the former HGP-A geothermal test site. The new 65-year lease would allow NELHA to continue to manage the 4-acre property adjacent to Puna Geothermal Venture on Pohoiki Road on Hawaii island. The existing mining lease, transferred from the University of Hawaii in 1986, is set to expire June 18. NELHA Executive Director Greg Barbour said the new lease would not allow for additional geothermal use on the property. “This is just a surface lease,” he said. Update: Imperial County took position of support for the bill on Tuesday, April 22. The Imperial Irrigation District (IID) Board of Directors today will consider a public statement of support for proposed legislation that would require California public utilities to procure up to 500 megawatts of energy from geothermal power plants. If approved, Senate Bill 1139 would boost the IID’s initiative to tap into the geothermal energy resources at the Salton Sea to offset the loss of the San Onofre Nuclear Generation Station while driving environmental restoration efforts. U.S. Geothermal Inc. announced today that it has successfully completed the previously announced acquisition of Ram Power Corp's, Geysers project for a total of $6.4 million in cash. The Ram subsidiaries included in the acquisition are Western Geopower, Inc., Skyline Geothermal Holdings, Inc., and Etoile Holdings, Inc., which in turn includes all membership interests in Mayacamas Energy LLC and Skyline Geothermal LLC. A new report from the U.S. Geothermal Energy Association (GEA), released today at the organization’s International Geothermal Showcase in Washington, D.C., reveals the international power market is booming, with a sustained growth rate of 4% to 5%. The “2014 Annual U.S. & Global Geothermal Power Production Report” finds almost 700 projects currently under development in 76 countries. Threats caused by climate change and the need for a renewable energy source that can satisfy both firm and flexible grid needs are among the key factors driving the international community to invest in geothermal power. 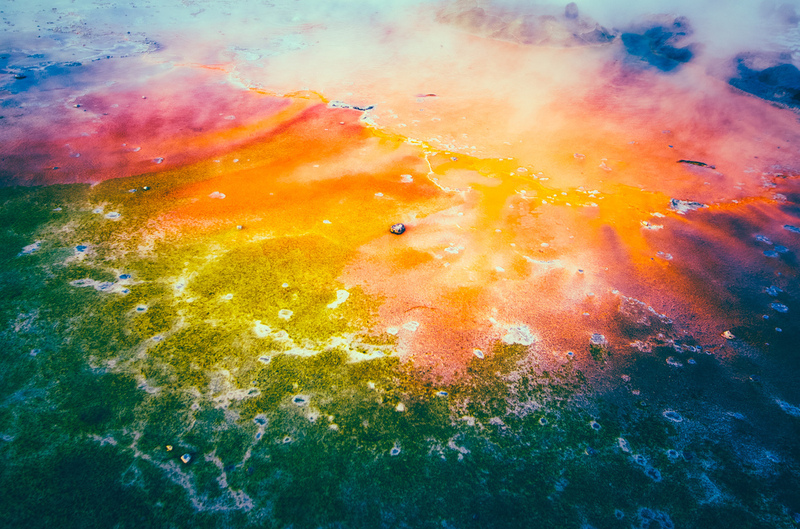 International geothermal market growth was up, while U.S. stateside growth held steady; 85 MW of the total global 530 MW of new geothermal capacity in 2013 was in the U.S., according to the new GEA report. U.S. growth was flat because of policy barriers, gridlock at the federal level, low natural gas prices and inadequate transmission infrastructure. Employees with Pertamina Geothermal Energy check the production of the KRH-4/1 geothermal well in Kadipaten, Tasikmalaya, in West Java on Saturday. The well is part of the expansion project in the geothermal power plant PLTP Karaha Unit 1 with the capacity to generate 1x30 megawatt (MW). The power plant is expected to start distributing electricity power to state-owned company PLN at the end of 2016. Co-Hosted this year by The World Bank, GEOLAC 2014 will gather key stakeholders - governments, utilities, multilaterals, developers, capital providers, and other providers of expertise - to explore opportunities for increased geothermal output, tackle obstacles to development, promote the exchange of knowledge and expertise, and facilitate vital new meetings and relationships. Ultimately GEOLAC will serve to catalyze the development of world-class geothermal projects in Latin America & the Caribbean. Register to Attend. A 20% discount is in place until May 16th. Further discounts are available for governments and NGOs. Contact directly for more information. In order to secure investment, the geothermal industry needs improved assessment methods to prove reliable resources. Commissioning a geothermal project is no easy task. Of all the renewable energy technologies, it has one of the longest project lead times – it can take an average of eight years from start to finish. Due to its heavy front-end expense, developers must be as certain as possible that they are spending time and money on a viable resource. Resource assessment starts with information. Existing geothermal data — including heat maps, existing well locations, geological surveys — can be a project developer’s best friend. However, this information had previously been scattered, disorganized, and simply impossible to find. Although the greenhouses, flowers and gardens at Chena Hot Springs Resort are breathtaking, there is more to the plants than just a pretty showcase. For GRC Member and owner Bernie Karl, it’s a way to demonstrate what Alaskans could and should be doing. Natural geothermal energy is one of the keys to success. “I’m taking a hug from the earth and am putting it back,” Karl said. Geothermal water passes through a heat exchanger, causing the secondary fluid to flash to vapor which drives a turbine. Because of the closed loop system, nothing is emitted into the atmosphere. Connie and Bernie Karl were recipients of a Geothermal Special Achievement Award from the Geothermal Resources Council (GRC) in last year's GRC Awards. Ambitious plans to tap into natural hot water supplies 1,500m below North East Lincolnshire in north-east England, – which could eventually heat thousands of homes – have been revealed. The £1.2 million first-phase plan to exploit the geothermal opportunities the area is understood to be sitting on could lead to a whole host of similar projects across the area. 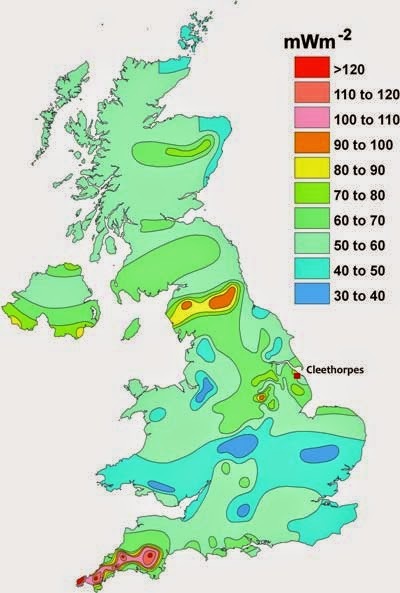 A few years ago, one of the country’s leading authorities in the field of geothermal energy revealed how the area is one of just three “hot spots” in the UK where huge reserves of water – at temperatures of between 40 and 60 degrees centigrade – reside almost a mile below homes and businesses in Cleethorpes and the surrounding area. Oregon Institute of Technology in Klamath Falls, Oregon is now the only energy independent campus in the world, using renewable resources. A ribbon-cutting was held at noon Friday, April 18 to mark completion of a 1.75 MW geothermal power plant and a 2 MW solar energy project. Oregon Tech began using geothermal energy to heat campus buildings back in 1964. The use of geothermal and solar energy is expected to save the campus about half a million dollars a year. As the economist and columnist Paul Krugman wrote this week, renewable energy technologies are getting better, and cheaper, at a rapid clip, and the prospect of one day powering the U.S.—or at least a sizable chunk of it—with renewable energy is coming closer to reality. The U.S. Energy Department is planning, too, to offer up to $4 billion in loans to renewable energy companies, according to Reuters. This isn't just an ideological aim: investing in renewable technological can make economic sense, as well. The U.S. is already headed to an increased reliance on renewable energy generation. According to a new analysis by SNL Financial, more than half of all new energy generation infrastructure planned for the next few years is renewable energy. Your organization has the opportunity for high visibility at the Geothermal Resources Council’s 38th Annual Meeting & GEA Expo scheduled for September 28 – October 1, 2014, at the Oregon Convention Center, Portland, Oregon, USA. The finishing touches are being put on a new geothermal project under a ramp and apron at the Greater Binghamton Airport in upper New York state. A constant flow of 50-degree water underground will radiantly control the climate of the ramp and apron as well as supplement the airport's air conditioning system. The project is expected to result in the avoidance of 103 tons of greenhouse gas emissions annually. It's also projected to save the airport more than $25,000 annually through a reduction of diesel fuel consumption and electricity savings. In April 2012, the Geothermal Technologies Office sponsored the development of the Geothermal Regulatory Roadmap (GRR). The GRR Team has been working with federal, state and local agencies to develop a working guide for agency, industry and policymakers use in an effort to understand regulatory processes and identify potential areas of concern. The project has since been expanded to include additional technologies and tools. RAPID was developed by the National Renewable Energy Laboratory and is funded by the U.S. Department of Energy. South Africa should give more serious thought to digging deep underground to tap the buried heat of the Earth to generate more electricity. This is the suggestion from geology and climate change researchers who suggest significant volumes of renewable power can be generated from using the latent heat of rock to produce steam and electricity. In their paper the researchers studied the possibility of consider a 75-MW Enhanced Geothermal Systems (EGS) plant in the Limpopo Province, sustainable over a 30-year period. The Energy and Mineral Resources Ministry plans to offer higher prices for electricity produced by geothermal power plants, in a move to attract more investors and make geothermal projects more bankable. According to a regulation issued by the ministry in 2012, state utility firm, Perusahaan Listrik Negara must sign long-term contracts to pay independent geothermal power producers between 10 cents and 18.5 cents per kilowatt hour — a pro-renewable energy policy mechanism known as Feed-In Tariff. Ridha Mulyana, the director general for new and renewable energy at the ministry, said that the government will reintroduce auctions for geothermal energy station opportunities.